As marketing professionals, we do market research, develop buyer personas, conduct thorough keyword research, and track user behavior on and off our websites through automation and technology. One skill set that separates great marketers from good ones is the ability to understand how and the why behind people’s thought processes, which leads to their consuming behavior and habits. There are numerous articles on this topic explaining how to leverage psychology in marketing. However, consumers, especially millennials coined ‘digital natives,’ are on the cusp of surpassing baby boomers as the nation’s largest living adult generation, according to population projections from the U.S. Census Bureau. Millennials are becoming to classic psychological marketing strategies, requiring us to head back to the drawing board and focus on fundamentals. The internet has revolutionized our lives and impacted nearly every aspect of marketing. It deeply impacts how we as marketers approach and interact with consumers today. With this, a whole new industry was born: digital and search marketing. While we embrace the new, a couple of theories have stood the test of time. These are the foundation on which psychological marketing strategies are built. One of those is Maslow’s Hierarchy of Needs. This motivational theory of psychology was developed by Abraham Maslow, a specialist in human behavioral psychology in 1943. 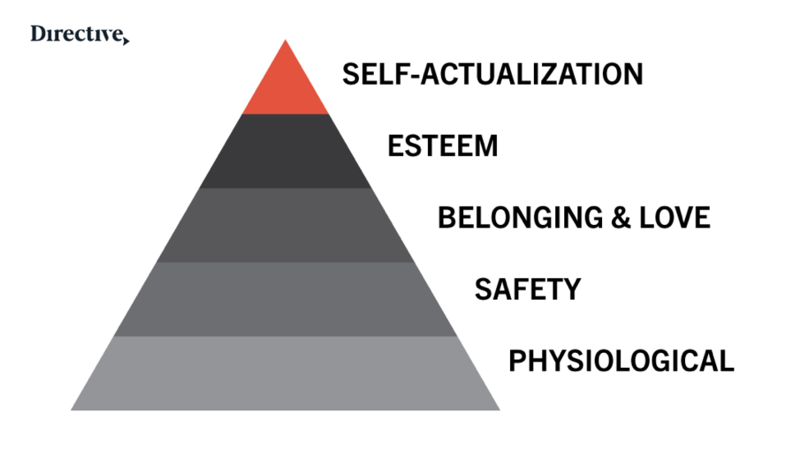 It is a five-tier model of human needs, often depicted as hierarchical levels within a pyramid. Needs lower down in the hierarchy must be satisfied before individuals can attend to needs higher up. From the bottom of the hierarchy upwards, the needs are physiological, safety, belonging and love, esteem, and self-actualization. It is easy to get caught up with the latest trends. Don’t forget the great deal of research it took to segment, target, position, and define your ideal prospect. Always keep genuine human motivation at the forefront when you’re putting together a marketing campaign, and build a sturdy foundation for your success to build upon. Classic marketing stimuli (you remember the 4Ps?) that were engraved into us didn’t approach the effect, cognition, and behavior of customers, of people, based off of Maslow’s Hierarchy of Needs. What I am getting at here is, regardless of your product or service, your ideal customer or prospect doesn’t care about you. What they care about is the added benefit you provide them. Once you convert them, then it’s client successes job to retain them. They do care as they invested money and usually their professional name on you. This leads me to the Fourth Principle of Economics: People Respond To Incentives, which is the basis of economists’ understanding of human nature that people respond to money and not much else. This applies to marketers. In order for us to resonate and connect with our audience, we need to constantly reevaluate our messaging associated with our products and services, and keep it aligned with their emotions. The emotional component is frequently overlooked in the realm of digital. If this continues, as many of our budgets are steadily being increased for this channel, it will inevitably lead to an enormous amount of wasted spend with little actionable insight to build on. The ideal client is a woman between the ages of 35-50, holds decision making power within the marketing department (senior manager, director, VP, or the CMO-if you’re lucky) at a SaaS company with 200+ employees and a minimum of $50M in revenue. While these characteristics are important, they are only attributes but not the person. People are multifaceted and the use of such demographics alone is limited at best in the digital world. Today, we as marketers are able to tap into psychology to positively impact our audiences through digital marketing channels. An example of this in action is Instagram’s introduction of numerous features to help promote a positive virtual community. The social platform has teams that review anonymous reports of posts by individuals who seem to need mental health support. 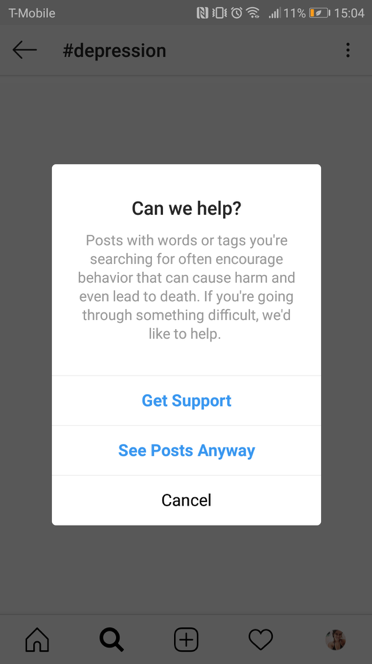 After, they are connected by Instagram to organizations that offer aid. The same resources are displayed when a user visits a hashtag page for a sensitive topic. As the number of channels grows, potential touchpoints where marketers can engage their audiences and understand behaviors is rapidly expanding. In our world of automation and personalization, real connections are critical. At the end of the day, technology is only as good as the user. Customers are becoming more powerful in making their own purchasing decisions. As a marketer, this is either an exhilarating and exciting opportunity or just another channel we are reactively responding to. If you can add this viewpoint, develop strategies, and assets with this as the core, and stay within your budget, you’ve made it. Welcome to “great,” marketer. Welcome to great! The post Marketing Psychology in 2019: Make Your Mark Digitally appeared first on Marketo Marketing Blog - Best Practices and Thought Leadership.